EghtesadOnline: Tehran Stock Exchange’s main index gained 2,903.72 points or 2.55% on Monday to end trading at 116,756. About 2.08 billion shares valued at $125.11 million changed hands at TSE for the day. Nirou Cholor Company was the biggest winner, as its shares went up 9.03% to 4,397 rials per share, Financial Tribune reported. Saipa Azin Company incurred the biggest loss among all TSE-listed companies and went down 8.32% to 1,443 rials per share. Mobarakeh Steel Company gave the biggest boost to the benchmark index, followed by Persian Gulf Petrochemical Industries Company and Iran National Copper Industry Company. Telecommunications Company of Iran was the biggest laggard behind the benchmark’s fall, followed by Mobile Telecommunications Company of Iran and MAPNA Group. The Price Index gained 851.47 points to close at 34,235.6. The First Market Index was up 2,284.73 points to post 85,383.4. The Second Market Index added 5,091.67 points to reach 235,550.7. The Industry Index scored 2,912.43 points to register 106,248.4. The Free Float Index gathered 2,956.19 points to hit 126,028.07. The TSE 30 was up 192.31 point to settle at 5,733.1 and the TSE 50 ended 149.58 points higher to finish at 5,019.1. 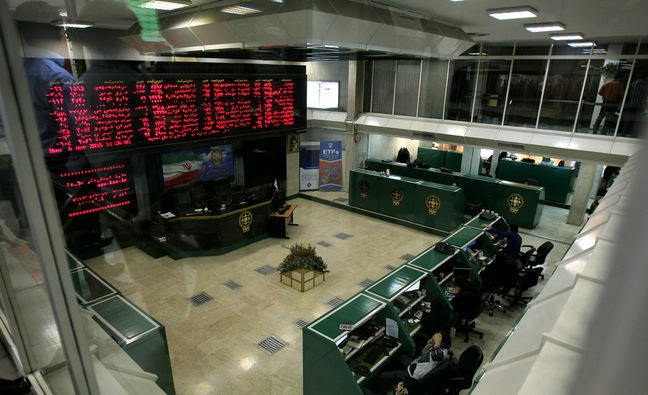 Iran Fara Bourse’s main index IFX added 42.92 points or 3.32% to close Monday trade at 1,337.16. About 968.13 million securities valued at $79.89 million were traded at the over-the-counter exchange for the day. Middle East Mines Industries Development Holding Company had the highest number of traded shares and trade value, as 128.54 million of its shares worth $7.58 million were traded. Sonhan Investment Company, Hormozgan Steel Company and Zagros Petrochemical Company registered the highest value increase. Ballast Company, Saman Insurance, and Afranet Company suffered the biggest decline. Marun Petrochemical Company, Zagros Petrochemical Company and Middle East Mines Industries Development Holding Company had the most positive impact on IFX.